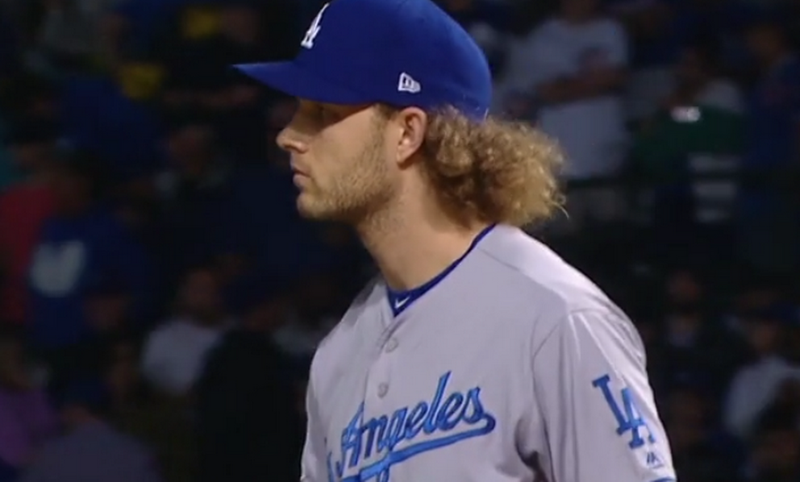 Under the current front office, the Dodgers have developed a bit of a reputation for finding diamonds in the rough in the bullpen. In 2016, they unceremoniously signed Joe Blanton to a 1-year, $4 million deal before he had arguably the best season of his career (and then hung a few too many sliders in the postseason). Last season, they signed Brandon Morrow to a MILB deal. Morrow struggled in the minors, but was called up on May 29th and became a huge piece of the bullpen, appearing in 14 of 15 postseason games and was one of 24 relievers with a sub-1.00 WHIP in at least 40 innings. This season, Tom Koehler and Scott Alexander were supposed to be the unsung heroes of the bullpen. 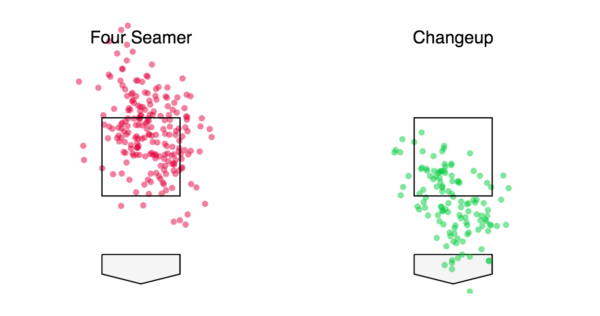 Koehler hasn’t thrown a pitch since straining a ligament in his shoulder in the Spring, and Alexander struggled enough to be demoted to the minors earlier in the season (and has since turned it around). However, the Dodgers may have found another surprisingly effective reliever in Erik Goeddel. Goeddel started his career with the Mets and had a pretty good year in 2015, his first full season in the Majors. He missed some time with an elbow injury and allowed four runs in 10 1/3 innings after returning on September 1. The success didn’t carry over, as he was pretty bad in 2016 and 2017. He signed a minor-league deal with the Rangers in the offseason and was granted his release during Spring Training. He then latched on with the Seattle Mariners and was called up on May 4. From May 4 until May 15, Goeddel faced 29 batters. Nine reached base, four by singles and five by walk. Only one of those runners came around to score, although he allowed one of two inherited runners he faced to score. Despite his success, the Mariners designated Goeddel for assignment, and the Dodgers swooped in and grabbed him. This next part was going to work out nicely, as Goeddel hadn’t allowed an earned run in his first 14 1/3 innings as a Dodger, which prompted me to decide to write this. Goeddel’s early success also got J.P. Hoornstra to write about him approaching setting a record for the most scoreless outings to begin a Dodger career. Of course, this combined with my procrastinating led to Goeddel serving up a game-tying home run to Kyle Schwarber in Tuesday night’s extra innings loss. That was the first and only home run Goeddel has given up in 22 2/3 innings this season. Goeddel has faced 94 batters this season and only allowed 16 hits and 12 walks while striking out 26. These numbers were even better prior to June 7, and he allowed two hits (all singles) in three consecutive outings between June 7 and June 13. Despite his more recent struggles, there’s still reason to be excited about Goeddel. It could be a case of small sample size, but Goeddel has posted some extremely encouraging trends early on this season. He’s currently posted career-low numbers in hard hit percentage, average exit velocity and launch angle. Simply put, people (besides Schwarber) aren’t hitting Goeddel hard or high. Goeddel’s 84.5 MPH average exit velocity is nearly 4 MPH slower than his previous career low in 2015. His 12.8 degree average launch angle is his lowest by .4 degrees, and his 21.4 percent hard hit rate is more than 15 percent lower than his previous best mark. Weirdly, all three of his previous career-best numbers in these three categories came in different seasons, so 2018 has been like a combination of the best parts of each of those seasons. Of the 390 pitchers on Statcast with 50 or more batted ball events (Goeddel has 56), Goeddel’s average exit velocity is the 15th-lowest and his hard hit percentage is the fourth-lowest in baseball, just behind Kenley Jansen. FanGraphs has Goeddel’s 25 percent soft contact rate as the 25th-best of the 188 relievers with 20 or more innings pitched. As far as pitch usage goes, Goeddel’s outlier year may have been last season. In 2017, Goeddel threw a fastball under 50 percent of the time for the first and only time in his career, 45.9 percent of the time. He used his changeup/splitter a career-high 35.3 percent of the time. This season, he’s thrown his fastball 53.4 percent of the time and a changeup/splitter 31.6 percent of the time, both much closer to his career norms. While there hasn’t been a huge difference in his velocity, Goeddel seems to be locating his pitches much better this season. The top is from 2017, the bottom from this season. 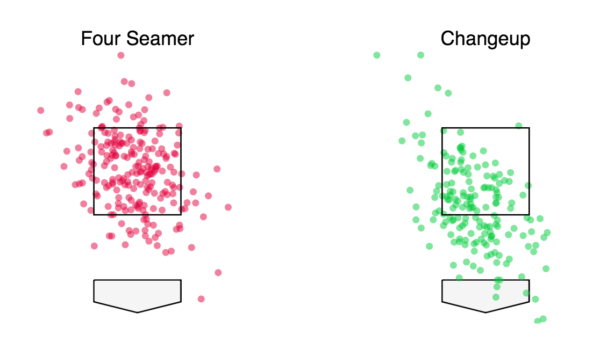 There’s still some misses, but you can see a better pattern up and away to righties with a fastball and fewer misses up with his changeup/splitter this season. The better changeup/splitter location paid off, as it has an average launch angle of -2 degrees. Unsurprisingly, Goeddel has the highest ground ball rate of his career at 44.4 percent. There’s still time for Goeddel to make me look like an idiot, but he’s been quietly good this season. While the Dodgers tend to tinker with pitchers upon acquiring them, it seems like they’ve simply allowed Goeddel to stick with his fastball/changeup combo, and he’s executed it well so far. All this is to say that he’s been Goedd-el, folks.